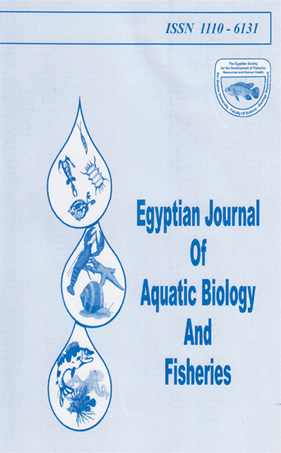 4Phycology, Hydrobiology, National Institute of Oceanography and Fisheries, El-Qanater El-Khayria, Egypt. The study was designed to investigate the protective effect of dietary Spirulina platensis and Chlorella vulgaris algal mixture (AM, 1:1), at three inclusion levels (3, 5 and 7%), in European sea bass diets as a supplement. 0.006 mg/l mixture of cadmium chloride and lead nitrate (TM, 1:1)was added to the rearing water as a pollutant.Results showed that the growth and feed utilization indices were not significantly different between fish fed diets containing algal mixture at inclusion levels in the presence of the pollutant and fish fed the control diet (Controll) meanwhile, fish fed control diet with heavy metals (Control2) addition showed the lowest growth and feed utilization indices. The body composition analysis showed no significant difference among groups. There was a significant decrease in the accumulation of Cd and Pb in white muscles. The lowest accumulations appear in fish fed diet3. A significant increase in the activity of antioxidant enzymes; SOD ,Catalase and Gpx were recorded in white muscles of diet1, diet 2 and diet 3 fish groups as compared to the control2 group and the highest activity is in diet3.